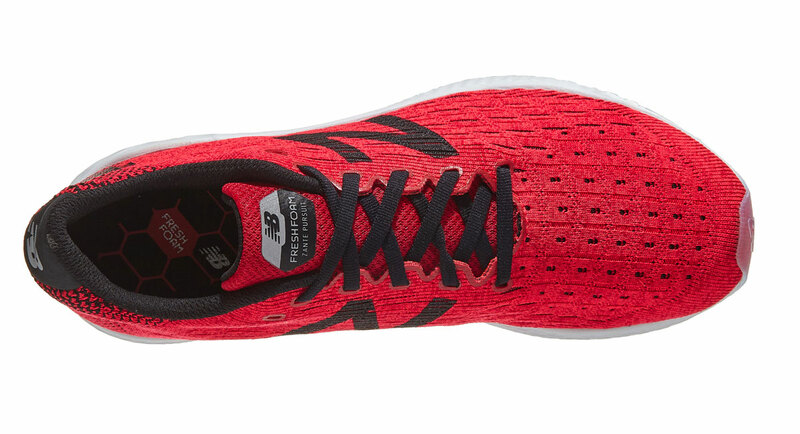 Thomas: The softest spot in my running shoe heart is reserved for lightweight shoes that can handle the marathon distance. And if the New Balance Zante Pursuit showed up on my shoe Tinder, I’d swipe right. While not the lightest ever, they lean towards the lighter side at 7.85 oz./223 grams for a size 10.5. The Fresh Foam midsole (6mm drop) with the full outsole of crystal rubber delivers a one-two punch of firm cushioning and sticky grip that propels your feet forward. 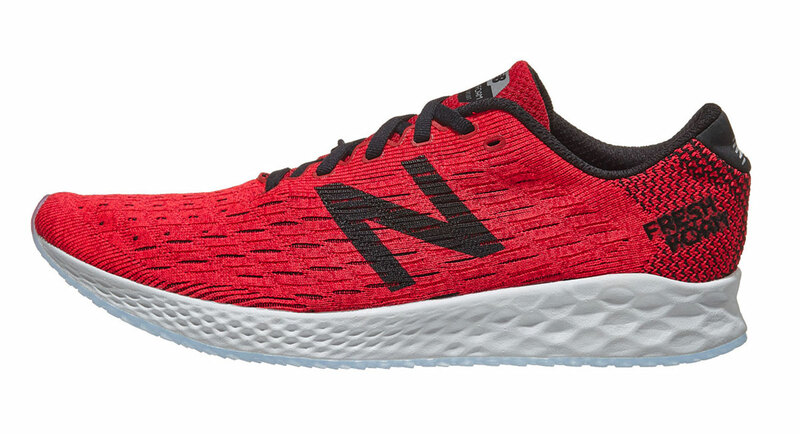 If you liked the Zante 4 you would be familiar with this setup; the Zante Pursuit has a softer feel to the midsole as if the Fresh Foam has more air in the mix. The Zante Pursuit is a neutral shoe, but with it being low to the ground and firm, the trainer feels stable. The upper on the Zante Pursuit is all new for New Balance as well. They call it Hypoknit, which basically sounds like a hobby your grandmother would be into if she were a robot. It is a stretchy knit upper that acts as a firm sock over the toes and has a tighter weave towards the heel counter. It is one of the better knit uppers I have worn. The heel counter is comfortable and does its job without any lift or rubbing. The top of the foot is cradled by an attached tongue, or what I like to call a saddle tongue. It does an excellent job of securing the midfoot comfortably. Giddy-up. I did a total of 40 miles in the Zante Pursuit before writing this review. 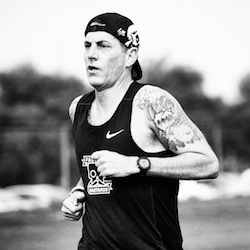 One of the workouts I did to test the range of the shoe was a 17-mile run broken up into three parts: 1) 30 minute warm-up, 2) 75 minutes at marathon pace, and 3) 30 minutes of cool down. The first slower 30 minutes, tells me if the shoe is comfortable, the 75-minute tempo let’s feel the turnover and weight, the last 30 minutes are about how beat up my feet and legs feel. I am happy to say that the shoes performed well, turnover felt light, and when I had to push the pace, the rubber outsole dug in. After the workout was complete, my feet and legs weren’t trashed. Thomas: This isn’t a shoe I would recommend for all your runs. 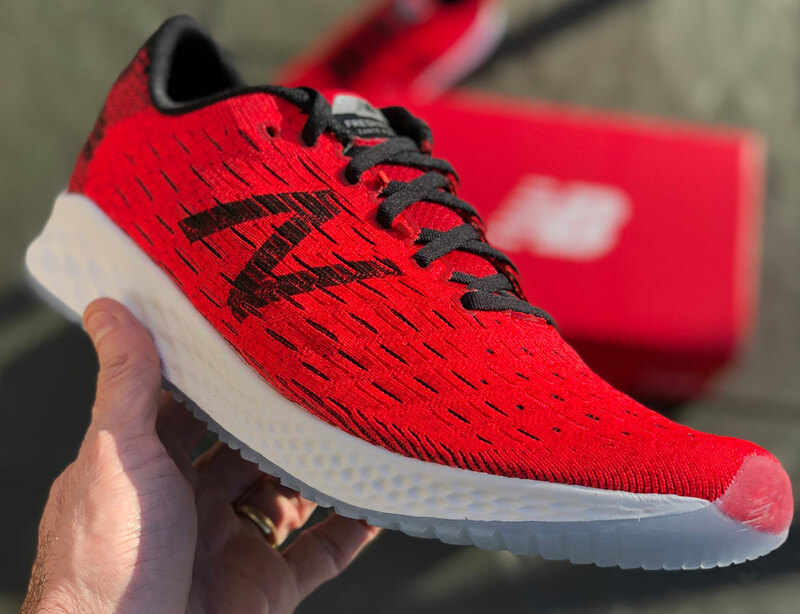 The Zante Pursuit is best mixed in with a softer more comfortable daily trainer like the New Balance Beacon or the 1080v9. Thomas: As you might surmise, I like this shoe a lot. The Pursuit is light and quick with easy turnover. I would compare this shoe to the adidas ADIZERO ADIOS 4, the Skechers Razor 3, and the Saucony Kinvara. They are all fast, light shoes with lower stack heights. With a price right around $110, the Zante Pursuit won’t break the bank. 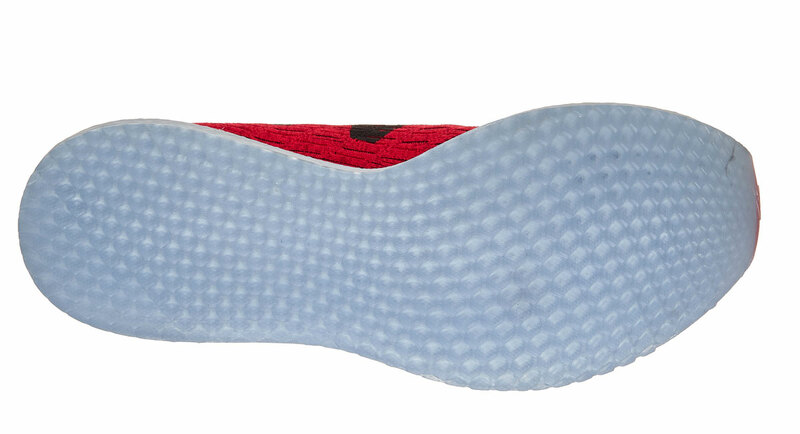 With a knit upper and full rubber outsole, it will be mighty durable as well.